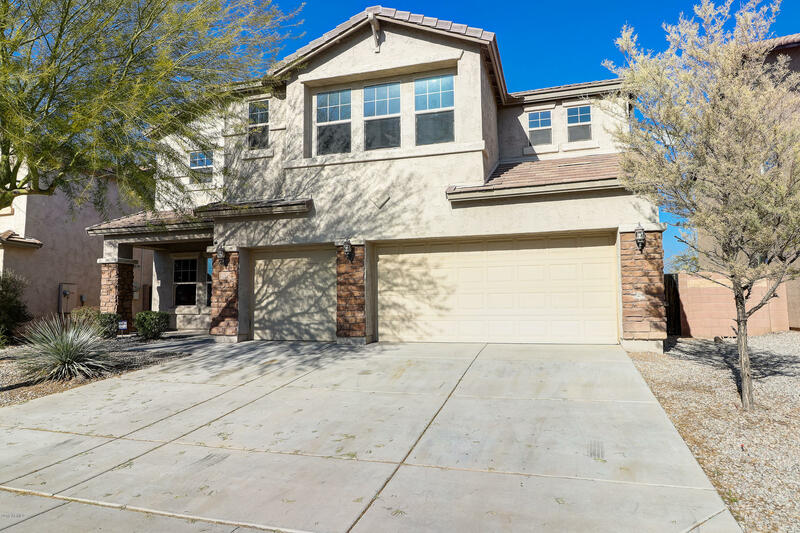 All Tartesso homes currently listed for sale in Buckeye as of 04/19/2019 are shown below. You can change the search criteria at any time by pressing the 'Change Search' button below. "This LARGE, GORGEOUS home boasts 5 bedrooms (every room has a walk-in closet) and 4 bathrooms. Large open kitchen with an island, huge pantry, upstairs laundry and over-sized loft/ children's play room, backyard with expansive mountain views, and a 3 car garage. Recently UPGRADED with the following:NEW Carpet in rooms; NEW laminate flooring throughout; NEW sliding glass door; kitchen faucet; NEW Paint throughout; BRAND NEW Dishwasher. Rooms are HUGE and MUST SEE!!!"